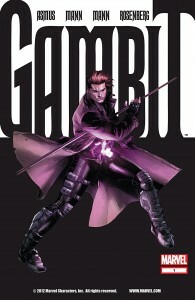 Gambit is one of my favorite X-Men and Marvel has been kind enough to give him his own series, again. 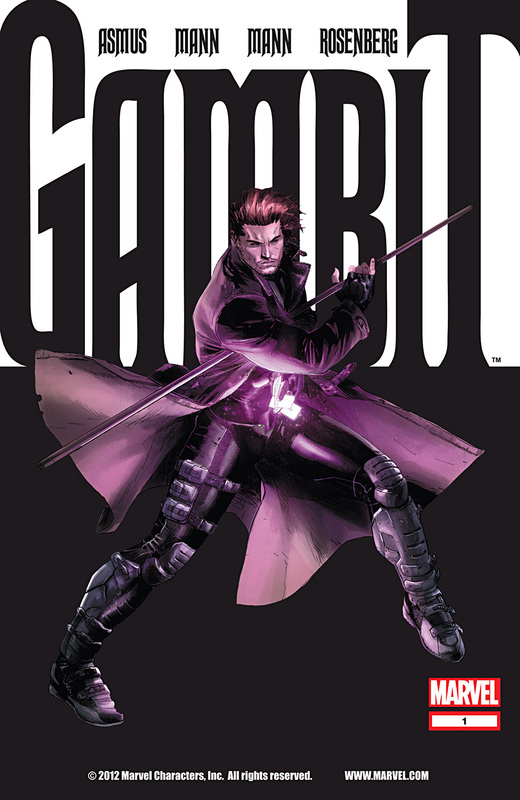 This time the series focuses on Gambit trying to define himself outside of the X-Men. The story takes Gambit into a fancy charity party at the house of a businessman who has connections to various criminals. 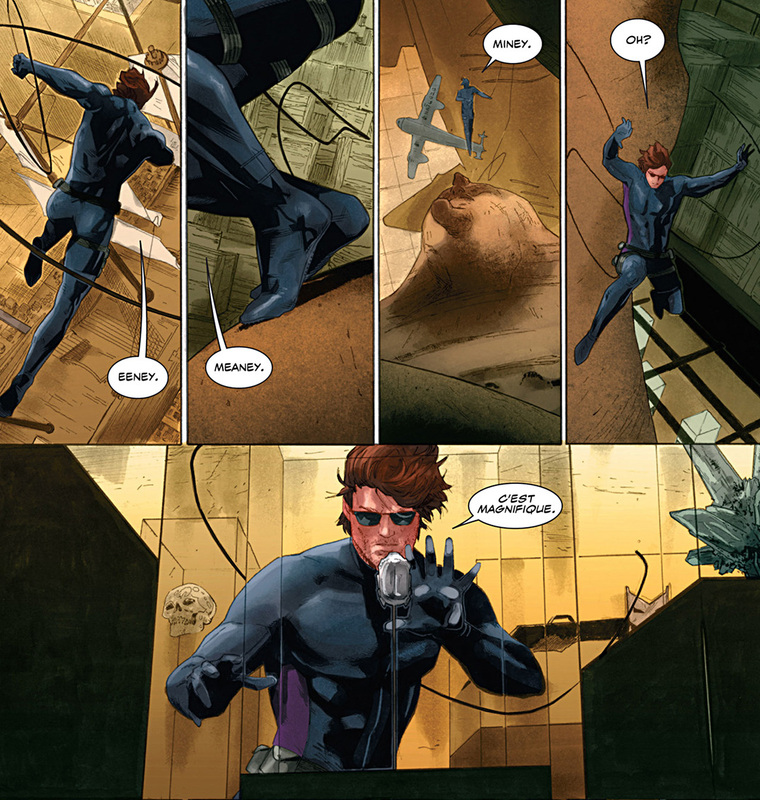 Gambit uses this opportunity to rob the man and relive the excitement of his youth. The story ends with a cliffhanger and the promise of more action. The story is your standard “protagonist thief steals from a rich criminal” story, but it does have some fun moments. 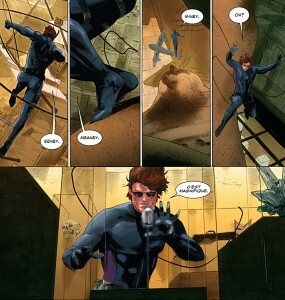 The dialogue is witty and the way Gambit breaks into the vault is very clever. There were several seeds planted for future storylines in addition to the cliffhanger ending. What hurts this opening issue is that the events are a little cookie cutter. This is fine for an opening story, but hopefully it will not be the formula for the whole series. One of the big surprises in the artwork is the amount of fanservice in this issue. Whether you like your Cajun in a fancy suit, in a skin-tight bodysuit, or naked you get all in this issue. 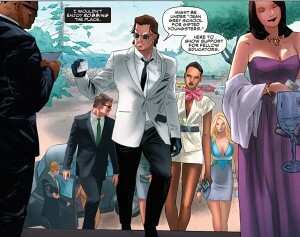 Gambit looks great in this series dressed (or not) as do several ladies that appear at the party. The only generic design was criminal and his thugs, but that tends to be the case for evil businessmen and their bodyguards. 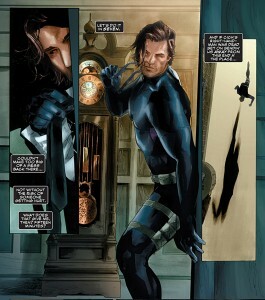 The locations have a decent amount of detail especially Gambit’s apartment. The action scene was very short and anti-climactic, but as it wasn’t the focus of the story it can be excused this time. When I picked up this book I expected it to have a cliché “protagonist thief robs a criminal” plot or a cliché “mysterious person from the past causes trouble” plot. Therefore, I was not surprised by this opening to the new Gambit series. The nice artwork and witty dialogue do make this a fun read. If you are a fan of Gambit then you will not be disappointed, if you are not a big fan of the Raging Cajun then this issue will not convert you into a Gambit fan. Hopefully this comic will move past the cliché beginning and become an exciting adventure because if it does not then this will be a difficult series to recommend.